Proceedings of the 9th International Conference of the International Society for Research in Human Milk and Lactation (ISRHML), October 2-6, 1999, Bavaria, Germany. The quality of infant feeding is of major importance for child health development and well being, and breast feeding is the natural form of supplying food to the infant and is considered to be ideally adapted to the needs of both mother and child. 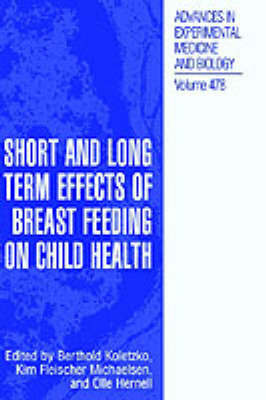 This contributed volume therefore, brings together the research on the physiological foundations and on the biological effects of breast feeding, both short and long term. This book contains the work of scientists from over thirty countries, many of whom are leading researchers in their fields, and details papers presented by the invited speakers of the conference and short summaries of presentations of original research results.